For the past few months, we’ve had a lot of questions from our community, potential investors, media and partners. We were trying to give as straight and as frequent answers as possible, but sometimes there were just not enough light hours to cover everything. So, we had a chance to take a little breath, gather our thoughts, drink some cappuccino together with our CEO Alex Bondarenko and provide answers to the most frequent questions and inquiries. Let’s start, shall we? Q: What is going on with Discoperi’s ICO and when will the public sale start? A: Currently, we’ve decided to stay in private pre-sale round till the end of this year. The decision was hard to accept, but totally driven by a realistic picture of our development as well as industry-wise status quo. We have the best development team in place, working 24/7, we have massive interest from the investors (institutional funds interested in the blockchain, AI and mobility), and support from drivers’ as well as crypto communities. One thing that we are missing now is a ready-to-be-used product. Merely saying, AI (artificial intelligence) takes more time for the education. Talking about the ICO dates we expect it to happen end of Q1 — beginning of Q2 2019. We have already done most of the steps (built investors’ dashboard, issued DISC tokens and made all the necessary arrangements required to launch a public sale). Once the full product or at least its ready-to-be-used part is there, we will proceed with the ICO. We want people to see what we can deliver and share our vision of a better future. Q: When will System ‘EYE’ be available to the public and how people will be able to obtain the device? A: First of all, let me tell you a bit about our AI development. Since May 2016, we massively proceeded in the visual recognition. What was as an idea, in the beginning, today seems to be a successfully done job. We can identify vehicles (type, brand, color, plate numbers, etc. ), road signs, lanes and distance among different objects. This is a quite sophisticated level of AI advancement. However, it’s still not 100% of our final product. I would say that we need to spend another quarter or two on the building the algorithms and finalization of the full functionality of System ‘EYE’. Talking about the timing, the first devices you would be able to find on our roads in Q2-Q3 2019. Starting from Spain, the US, Germany, France, Italy, the Netherlands, UK, Poland, etc. We would need to conduct trials and testings. Thus an individual may expect to buy it in Q3-Q4 2019. It’s also important to mention that we already have a pre-orders on 3.5 million of devices, coming mainly from Europe: Belgium, Germany, France, Spain, Russia, Poland, Ukraine, Georgia, Belorussia, etc. Thus if you would like to buy one, it’s better to sign up on our website as soon as possible. By the way, we will sell the very first devices to our supporters and community members, in particular to those, who contributed during the ICO. In a way that any contributor may exchange his DISC tokens for System ‘EYE’ device. All the rules and conditions aren’t finalized yet but will be provided you with more details. Regarding where future buyers may purchase devices, we will partner with multiple partners, however no information here as well for now. Q: You’ve announced that Discoperi will have its blockchain. Are there any specifics? 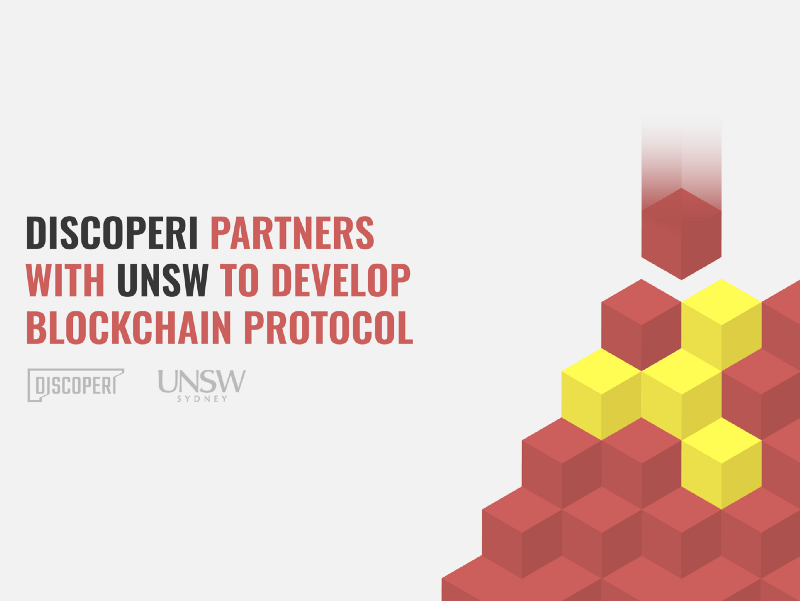 A: Indeed we partner with UNSW on the blockchain development as well as leverage expertise of Vareger — another partner of ours, which gained substantial expertise in blockchain building, auditing, etc. We work together with both partners to come up with the solution that may revolutionize blockchain industry for data transactions and IoT devices. Once it’s ready, you will see the use case for a blockchain in an entirely new way. And the core part will be our System ‘EYE’. We expect to demonstrate a beta-version of Discoperi Blockchain Protocol by Q3 2019. Q: Will System ‘EYE’ be the only product provided by Discoperi? A: Well, System ‘EYE’ for us is the main product as it allows us to achieve our main mission, which is to make roads safer by preventing road accidents and enabling drivers to control and monetize their automotive data. In the same time, during the development process, we discovered many new features, which are parts of System ‘EYE’ today. The coolest thing is that each feature of System ‘EYE’ can be brought independently on the market, yet still maintaining its meaning for the whole puzzle. It can serve a specific need of our users and take one or few of the problems down while keeping the track on what we do and where we go. We’ve already started preparation of a couple of such “features” that will be available for anyone soon. We expect that at least one of them will be ready by the end of the year, yet not sure about the launch time. Probably, right after the preparation. Once it’s ready and tested, we will share the news with exact names, details, etc. Q: What are the plans for the future and what should the community expect from Discoperi? A: Our plans are very ambitious. 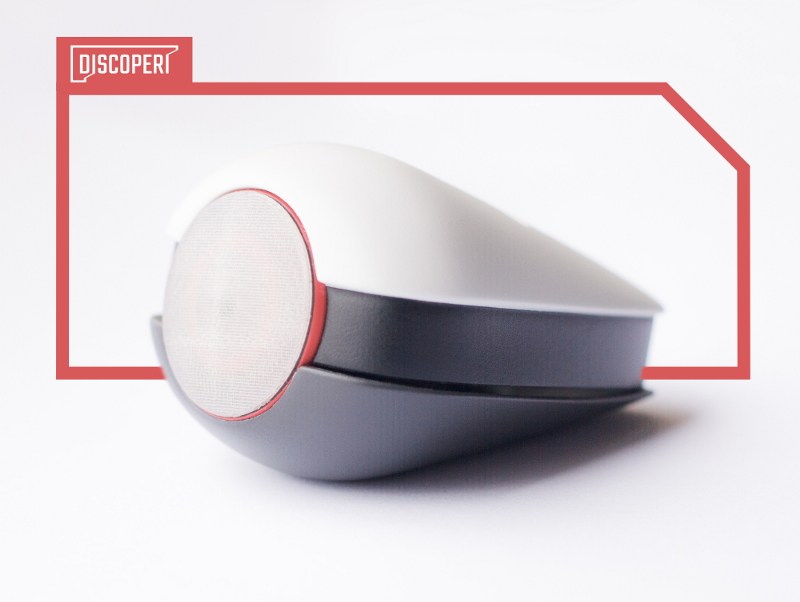 Beyond finishing the System ‘EYE’, launching ICO with DISC tokens, Discoperi Blockchain Protocol and Discoperi Ecosystem (please find more details in Discoperi’s white paper), we plan to deploy our products globally. We clearly understand our role as inventors and executors simultaneously. If we work well, we will save many millions of lives. If we do our things with a great passion, commitment, and perseverance, we will turn the numbers of road accidents down to zero right before self-driving cars are everywhere. From another side, we will also continue working on eliminating automotive industry inefficiencies, in particular, in data transparency, privacy, and monetization. We expect that by 2021 we will enable transactions of more than 10 billion data points. In every transaction, the individual driver will benefit at first, and he/she will be running the party. In the same time, we expect a huge mutual value for insurance companies, fleets, governments, etc. We clearly see Discoperi to be among the top-10 largest companies in the world. But we can achieve this position only by bringing to this world unique technologies and products, which will innocently serve people and making our world a better place for generations. Next post Discoperi has been selected for Startup Hub: Poland Prize program! We are glad to announce that Discoperi has closed its first investment round. The funding was led by FinForge.vc, a leading international crypto lab, connecting smart money with ambitious blockchain projects. According to Yaroslav Tonkovidov, CIO at Finforge: “Discoperi represents the type of project we are interested in. You typically expect their technology to become real in 10+ years, however, thanks to their focus, immersive passion and commitment, we expect them to deliver it within a much shorter time and disrupt the automotive & blockchain markets in a very positive way through partnerships and world-leading technology. Discoperi shares crypto world principles and represents a “Robin Hood concept”, similar to the one, which is behind Bitcoin. Tired of the lack of transparency in the automotive industry, the company found a way of gathering drivers for a bigger purpose, which is automotive data ownership, sharing, and monetization. Thanks to this vision, we expect to see a transformation in the automotive industry using BlockChain technology”. Alex Bondarenko, Founder & CEO of Discoperi: “We are delighted to work with FinForge. Over the past 2 years we received quite a few offers, but with FinForge we found the right fit, with a great team, which fully shares our vision and is always ready to help, expertise both in crypto and VC worlds, and an attitude which resonates with our internal mission. Our blockchain protocol, together with the vision of returning data ownership to the driver through partnerships and in-house development, it poised to revolutionize the automotive industry”. This funding will allow Discoperi to continue working on the blockchain protocol solutions for automotive data collection and monetization, as well as drivers’ safety improvement and accident prevention. Previous post How Does DISC Token Work And Why Buy It? How Does DISC Token Work And Why Buy It? DISCs are Ethereum-based utility tokens emitted by Discoperi to launch and maintain our drivers’ community and infrastructure related to it. They will be the only payment medium in the ecosystem, and all transactions will be stored in the blockchain and executed with DISCs. The DISC token will enable clear and transparent transactions between drivers who provide valuable data and those who need it and will provide means for paying for data, API access, and applications on the Discoperi platform. As with the most tokens, DISC token will be evaluated by the same supply and demand laws of economics. If there’s an uncovered demand, the price rises, if the demand is lower than supply, the price falls. Naturally, the more people, companies, organizations, and municipalities use System ‘Eye’ and other solutions provided by Discoperi, using DISC tokens, the higher demand is expected to be on DISC tokens. Together with the limited supply, it may be a factor for a long-term DISC token value advancement. Thus, the value directly relates to the number of token users and can be somewhat predictable, depending on the stats, news and few other things, but the price remains naturally unpredictable, which adds in value for speculative traders. Discoperi’s vision can save millions of lives and billions of dollars, can turn over several industries and build a new giant piece of computational infrastructure spread over the whole world. Having a limited supply of DISC tokens, this makes them cost potentially thousands of times more than during the token sale, as the demand with such Discoperi’s achievements would be just phenomenal. Previous post Are You A Driver? This Post Is For You! Are You A Driver? This Post Is For You! Probably you’ve already read about the advantages of System ‘Eye’ before in our blog. It helps to prevent road accidents by analyzing the surrounding drivers’ behaviour and predicting the potentially hazardous situations on the road. Sure enough, the benefits are obvious. By itself, System ‘Eye’ will save millions of lives, rebuild the automotive insurance industry, prevent spending billions of dollars on repairs, utilization and production of new cars, which will be beneficial even for the ecology. But what does System ‘Eye’ mean for you as a driver? The majority of System ‘Eye’s functions are built around collecting, processing, storing and accessing very large amounts of data. While some functions are performed inside of the device, lots of them still require some kind of infrastructure to run on. However, System ‘Eye’ is built using blockchain technology and becomes a part of that infrastructure by itself, and pays you for using your device. All the collected and processed data can be requested by someone for analysis, and you get paid for taking part in it. Say you’ve seen a car accident and shot it on your System ‘Eye’ while driving next to it. The data your device has collected and processed is valuable for police and insurance companies, as it will show lots of details which will lead to understanding the accident, and you get paid for that data in DISC tokens. That was only one of a hundred possible moments when you are contributing to someone and get paid. Apart from insurance companies and police, infrastructure owners can use System ‘Eye’ for collecting the road data and plan rebuilds and maintenance, local governments can use it while seeking for traffic calming or minimizing measures and so on. You provide all of it and get paid. After the launch of our own Discoperi Blockchain Protocol, you will also be paid for supporting it with your device: becoming a node, or simply hosting or mining the transactions over it. All of it will be paid out in DISC tokens. DISC tokens are the primary payment medium in the Discoperi infrastructure. For every valuable data you provide, smart contracts pay you instantly in DISC tokens. 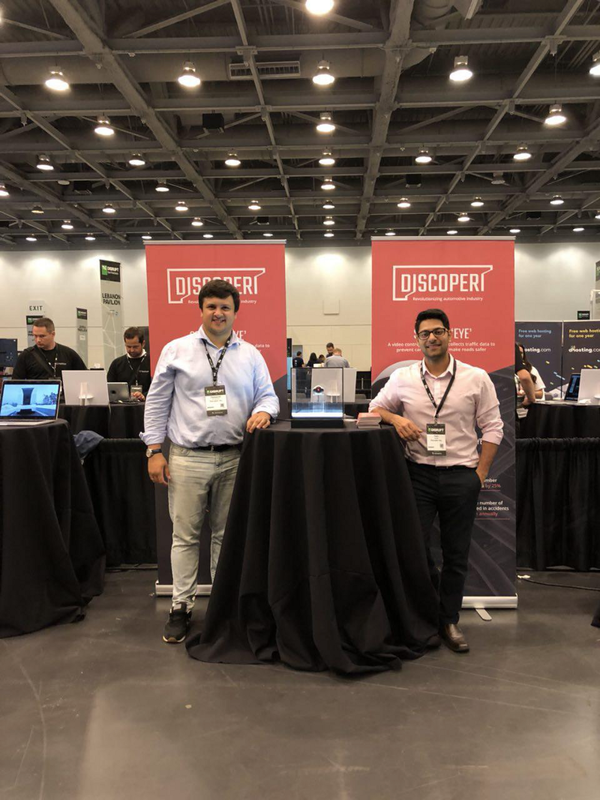 Previous post TechCrunch Disrupt, Coinsbank, Impact Mobility Revolution: Discoperi goes big this fall! Next post How Does DISC Token Work And Why Buy It? TechCrunch Disrupt, Coinsbank, Impact Mobility Revolution: Discoperi goes big this fall! What a run we have! It’s not the end of the year but we have a lot to sum up and more news to share with our followers. Discoperi team had a productive summer visiting Dubai International Blockchain Summit, the biggest blockchain event in UAE, and also won the Startup World Cup to compete for a $1,000,000 investment prize in San Francisco next year. That is definitely something we can be proud of. Other than that, this summer we received the first prototype of System ‘Eye’device. 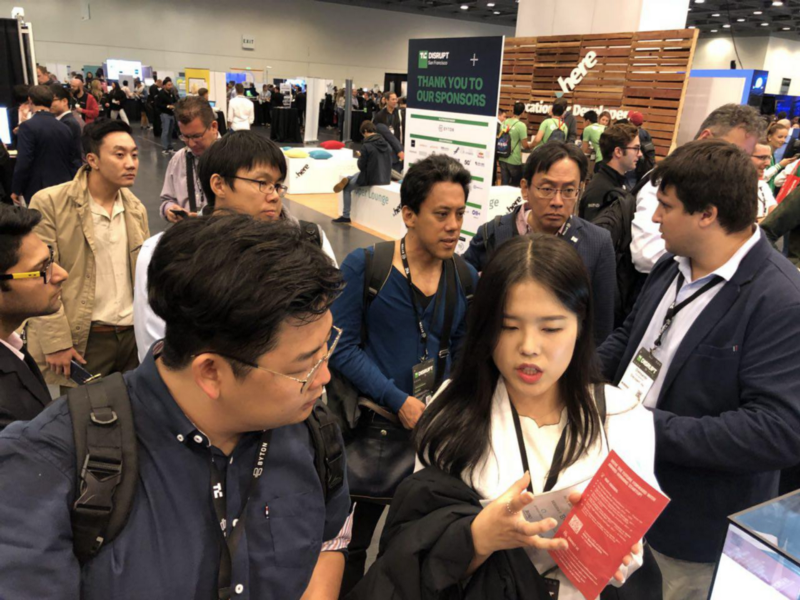 We presented the device publicly for the very first time at TechCrunch Disrupt SF, the most exclusive event in the tech industry, just a week ago. And it gathered crowds. Recently, we have also attended Coinsbank Blockchain Cruise with over 2500 experts and advisors from the blockchain world and spent 4 fabulous days sharing our vision with the most prominent leaders in the blockchain and crypto world and making new connections with world’s biggest media reporters. Tomorrow, our CEO Alex Bondarenko will be in Katowice at Impact Mobility rEVolution’18 speaking about road safety, drivers community and how blockchain technology helps us build a decentralized network of connected vehicles. If you want to find us there, visit the Challenger Area or just email us or Alex. Next post Are You A Driver? This Post Is For You! The time has come. On October 17, Discoperi launches an ICO to accelerate its progress and activities, build up a global driving community, and prepare a foundation for the upcoming Discoperi roll-out. Discoperi’s token DISC will be distributed at $0.0010 per token. This token will be used to reward drivers for the valuable data they collect. Corporate clients (e.g. insurance companies, governments, etc.) will use DISCs for purchasing traffic data and evidence of accidents. This will be a holistic ecosystem where DISC token is an integral part. The ICO will transpire into 3 stages: Private Presale, Public Presale, and Public Sale. The main purpose of setting up different stages of the ICO is to provide equal opportunities for different types of participants to support Discoperi. We have a soft cap of $5 million across the various phases of the ICO and a hard cap of $50 million. During the entire ICO, there will be a referral bonus of up to 10%. 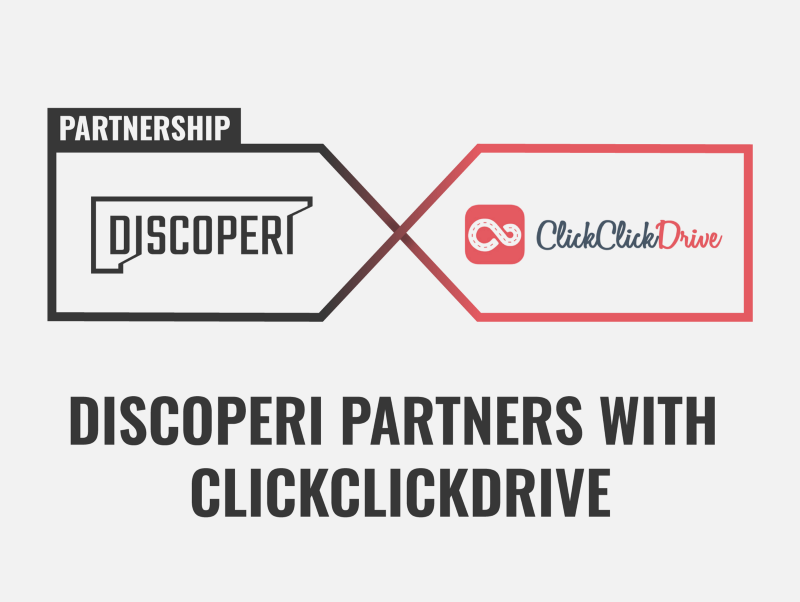 Discoperi plans to invest heavily in enhancing the ability of System ‘Eye’ and allow drivers to manage and monetize their automotive data, yet we still want to save our independence and put drivers’ interests first, not big corporations’ desires. In one of our articles, we explained why blockchain is vital for System ‘Eye’ and how this technology will help us process the unlimited amount of sensitive and confidential data while keeping it highly protected for every member of the ecosystem. However, we plan the development of our own blockchain specifically tailored for the automotive industry and a cloud-hosted Discoperi Ecosystem. Also, among our priorities are building NOCs(Network Operations Center) to manage the automotive ecosystem, creating a strong and active community fully in touch with Discoperi, and forming certain strategic partnerships with car manufacturers, auto OEMs, high tech giants, insurance companies, etc. Learn more in our White Paper and don’t wait to join the most revolutionary drivers community that will change the automotive industry. Next post TechCrunch Disrupt, Coinsbank, Impact Mobility Revolution: Discoperi goes big this fall!